Algae oil is an interesting sustainable feedstock for biodiesel manufacturing. It is an alternative to popular feedstocks, like soybean, canola and palm. 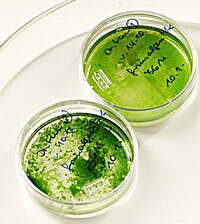 Ultrasonication improves the extraction of oil from the algae cells and the conversion to biodiesel. In comparison to traditional oil-seed crops, algae yields much more oil per acre. While soybean typically produces less than 50 gallon of oil per acre and rapeseed generates less than 130 gallon per acre, algae can yield up to 10,000 gallons per acre. In particular diatoms and green algae are good sources for the production of biodiesel. Like other plants, algae stores energy in the form of lipids. There are various methods for extracting the oils, such as pressing, hexane solvent wash and ultrasonic extraction. Intense sonication of liquids generates sound waves that propagate into the liquid media resulting in alternating high-pressure and low-pressure cycles. During the low-pressure cycle, high-intensity small vacuum bubbles are created in the liquid. When the bubbles attain a certain size, they collapse violently during a high-pressure cycle. This is called cavitation. During the implosion very high pressures and high speed liquid jets are produced locally. The resulting shear forces break the cell structure mechanically and improve material transfer. This effect supports the extraction of lipids from algae. The table to the right shows typical power requirements for various volume flows. The ultrasonic system is generally integrated inline. The ultrasonication reactor can be easily retrofitted into existing facilities, improving algae extraction. In particular for the purpose of pressing, good control of the cell disruption is required, to avoid an unhindered release of all intracellular products including cell debris, or product denaturation. By breaking the cell structure, more lipids stored inside the cells can be released by the application of outside pressure. The high pressure cycles of the ultrasonic waves support the diffusion of solvents, such as hexane into the cell structure. As ultrasound breaks the cell wall mechanically by the cavitation shear forces, it facilitates the transfer of lipids from the cell into the solvent. After the oil dissolved in the cyclohexane the pulp/tissue is filtered out. The solution is distilled to separate the oil from the hexane. For the sonication of flammable liquids or solvents in hazardous environments Hielscher offers FM and ATEX-certified ultrasonication systems, such as the UIP1000-Exd. Strong synergetic effects can be observed when combining enzymatic treatment with sonication. The cavitation assists the enzymes in the penetration of the tissue, resulting in faster extraction and higher yields. In this case water acts as a solvent and the enzymes degrade the cell walls. The application of ultrasonication to the production of biodiesel from algae is not limited to the extraction of oil from algae. Biodiesel is made from algae oil by a chemical conversion process called transesterification. Despite the use of heat, mechanical agitation and catalytic chemicals, this conversion takes approx. 4 to 6 hours. Ultrasonication improves the mixing and increases the chemical reactivity of the reactants. This reduces the time needed for the chemical conversion by up to 90% leading to a whole new perspective on biodiesel making. Instead of pumping from batch to batch, the reactants are mixed continuously and subsequently pumped through a reactor column. A residence time of approx. 1 hour is sufficient for the conversion to complete. A centrifuge separates the glycerin from the biodiesel. After washing and drying of the biodiesel, it is ready to be used. Other benefits include a more complete transesterification of the tri-glyceride molecules, meaning that more oil is actually converted into biodiesel. Also, it requires less alcohol and catalyst – reducing production costs and improving the environmental effect. Click here to read more about ultrasonication in biodiesel manufacturing. We recommend pilot scale trials e.g. 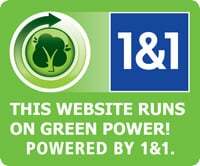 using 1kW systems. This will show the general effects and improvement for your particular process stream. All results can be scaled up linear to large process streams. We will be glad to discuss your process with you and to recommend further steps. Please use the form below, if you wish to request additional information regarding the use of ultrasound to improve algae extraction or biodiesel conversion.